← 4th Quarter 2011 edition of Central Headlight now available! NYCentral Modeler Q1 2012 is here! The third issue of the NYCentral Modeler is available for download! This issue has articles from several new writers and a couple authors who have contributed to the NYCentral Modeler in previous issues. All of the articles feature topics about the New York Central System. This issue includes the final half of the interview with Tony Koester, editor of Kalmbach’s annual Model Railroad Planning and contributing editor to Model Railroader. We are pleased to feature articles by several authors bringing you topics including “New York Central’s West Side Freight Line” with modules by Ron Pasisi; Jim Six’s “Recreating the New York Central Michigan Division Circa 1955;” another NYC tower article by Larry Faulkner; “Kitbashing HO NYC Steam Locomotives“ by Tom Bailey; and all of the regular features of the magazine. This 61-page edition features many photos and the biographies of all of the authors. You will even see photos of some of our member’s layouts, important information about the Society, and more details on the 2012 NYCSHS Convention. The issue includes the regular feature on NYCS models coming out currently and in the near future by associate editor Jim Benedict, who also writes a similar feature in the NYCSHS Central Headlight. This edition promises to be a truly exciting third issue for what we hope to be a regular benefit to those of you who model the New York Central Railroad. 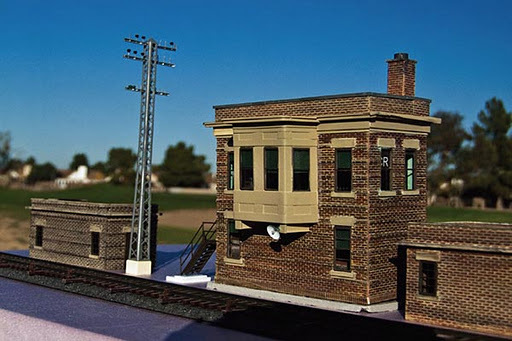 Even if your layout is not a NYCS one, you will find items of interest for your own modeling. Our readers continue to provide us with very positive feedback on each issue. We believe that this issue continues the quality standard set by past issues. We hope to continue to receive positive feedback with this edition and also ask that you continue to send us interesting and outstanding articles in the future. The NYCentral Modeler e-zine is for members of the NYCSHS and non-members who model in all scales. Check it out today and let us know what you think. Have a Happy New Year from all of us at the NYCSHS! This entry was posted in NYCentral Modeler, NYCSHS Models. Bookmark the permalink.